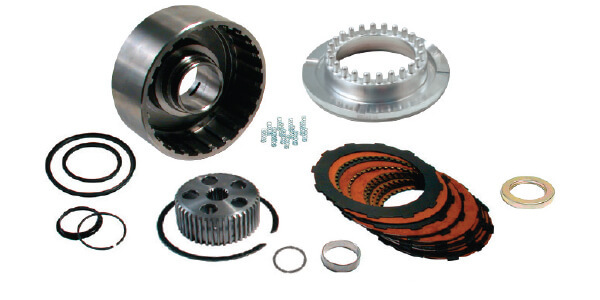 The Sonnax 10-clutch system increases lockup surface for significantly more torque capacity than modified OE drums. Sonnax invented this powerhouse upgrade more than a decade ago, and its proven dependability makes it the most popular choice among racers. The essential components of a 10-clutch setup with the flexibility of adding your own build options. Comprehensive kits with all drum components, including Kolene® steels and .060" frictions. The Smart-Tech kit’s 35% larger piston maximizes both engaging and holding capacity of the Sonnax 10-clutch system. Smart-Tech components give you the option to reduce line pressure for greater efficiency, or drop to seven frictions for less parasitic drag and improved heat dissipation while retaining 10-clutch capacity. Looking for Standard High Clutch Drums? 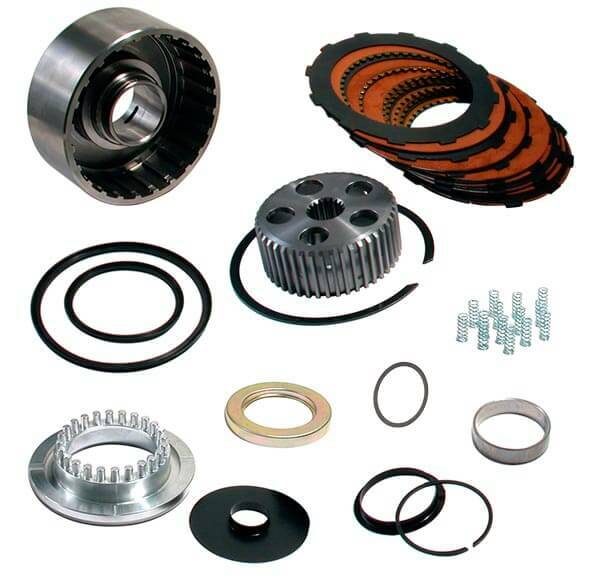 Sonnax offers high-quality, direct replacement drums individually or as part of a drum, hub and piston kit that accepts extra frictions for increased torque and holding power.